Spray paint is incredibly versatile. Available in a rainbow of colors and a multitude of special finishes, spray paint provides a quick and easy way to update or completely change the look of a variety of items. 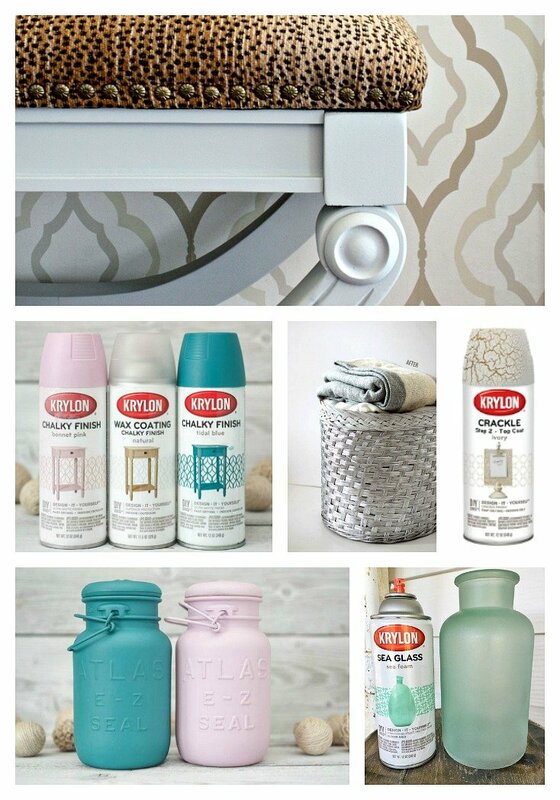 Today we’re sharing some of the cool new spray paint products to try along with some easy project ideas to inspire you to get out your paint and see what you can transform! Thank goodness spray paint manufacturers are as innovative as they are. Here are some other unique spray paints you might want to check out. I think sea glass is so pretty. 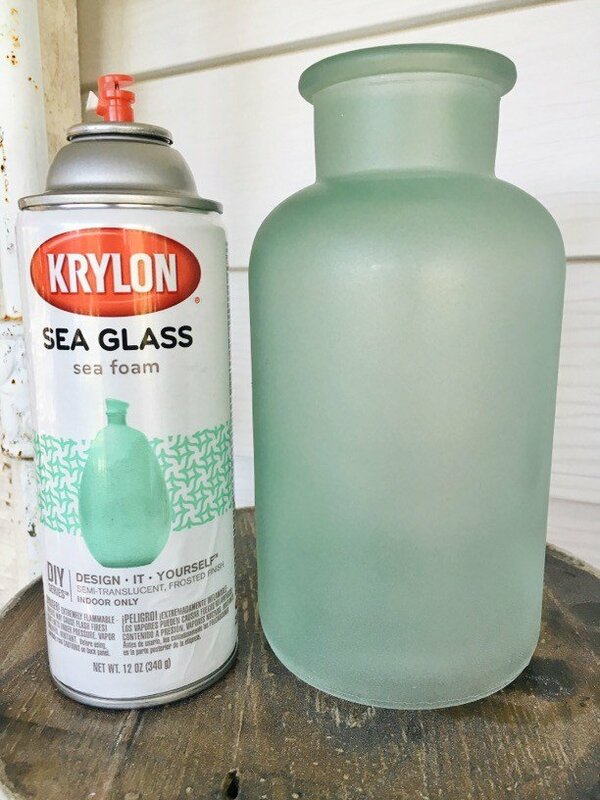 You can re-create the look with Krylon’s Sea Glass spray paint Learn how with Liz Marie’s post. 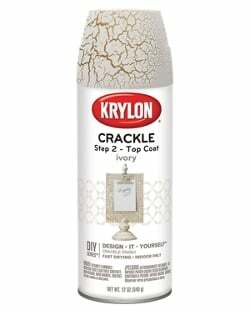 Krylon has just come out with a two-part crackle spray paint that looks amazing! My grandmothers had milk glass, and when I see it now, I’m instantly transported back to their homes. 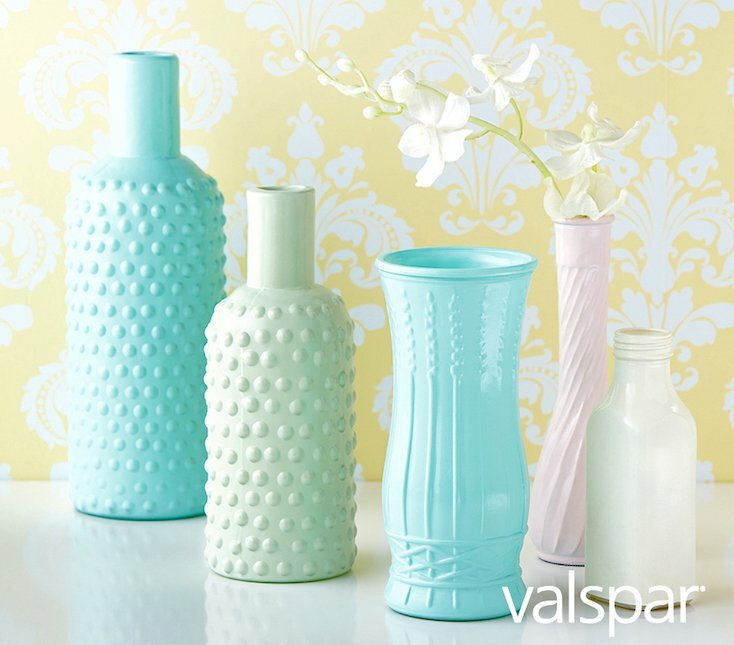 With Valspar’s Milk Glass spray paint, you, too, can get the look of vintage milk glass. Chalk paint can totally revamp a project and give it a brand-new look. Did you know it’s now available in spray versions? 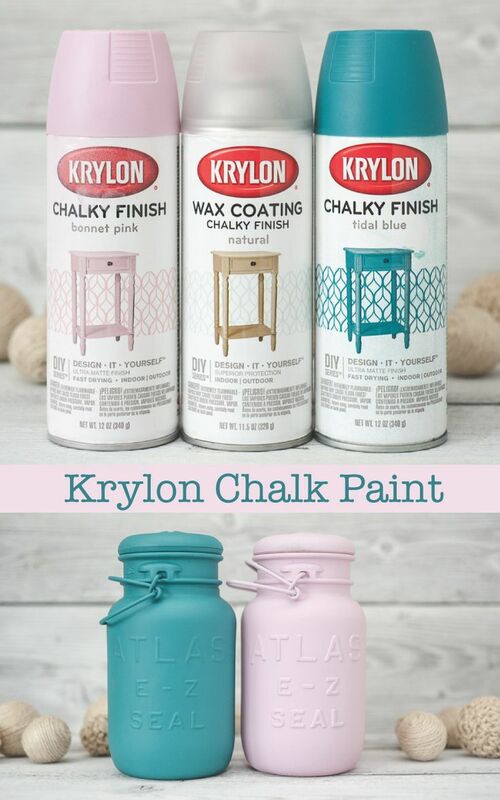 Check out Cyndy’s post on Krylon’s Chalky Finish spray paint here. 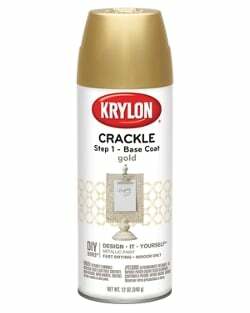 This is the amazing finish you can get with the Krylon Chalky Paint finish. 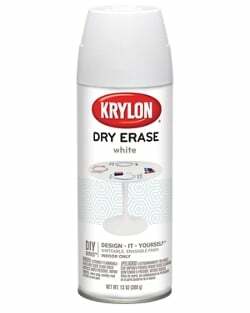 Krylon has also just come out with a Krylon that turns any surface into a dry-erase writable surface! Imagine the possibilities! Before you recycle or toss out baskets, boxes, trays, planters, vases, etc., consider giving them new life with spray paint. With the advances in spray paint technology, you can even repaint plastics to dramatically change their look. 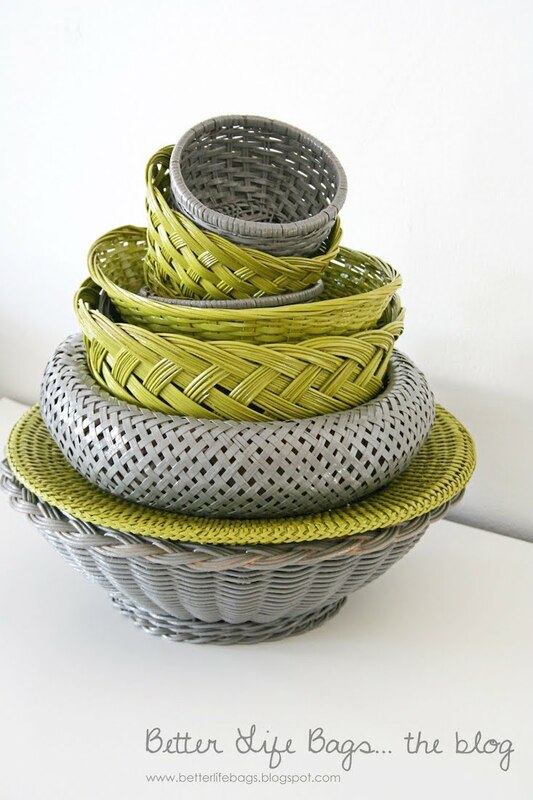 How many random baskets do you have in your home or do you see in thrift shops? Give them a coat or two of spray paint so they coordinate with your décor, and use them to decorate and organize your home. 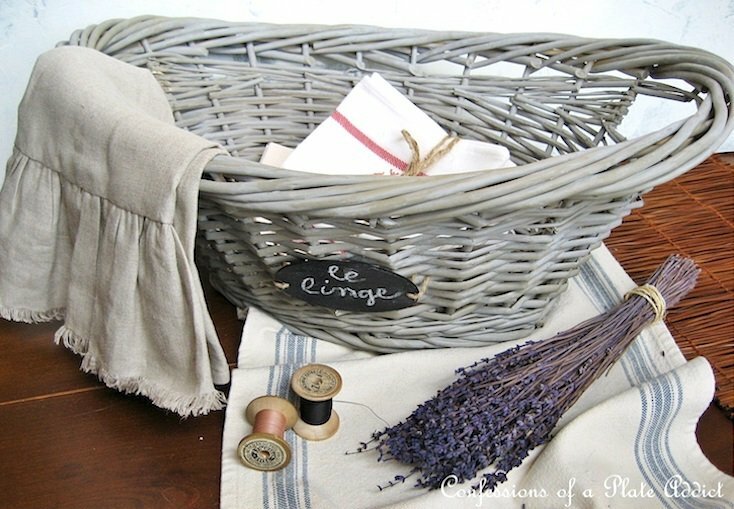 Transform a plain wicker laundry basket into a lovely French-inspired gray willow basket with Debbie’s easy instructions. 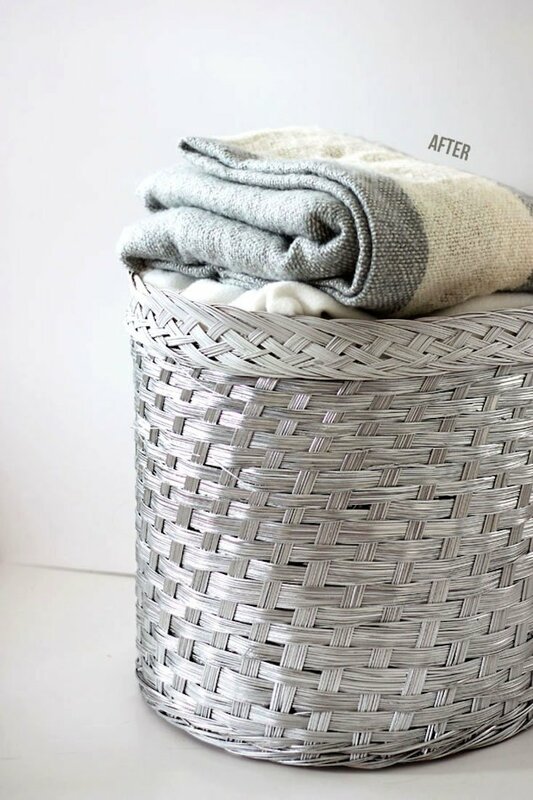 Krylon Metallic Silver was used to give this blah basket some bling. 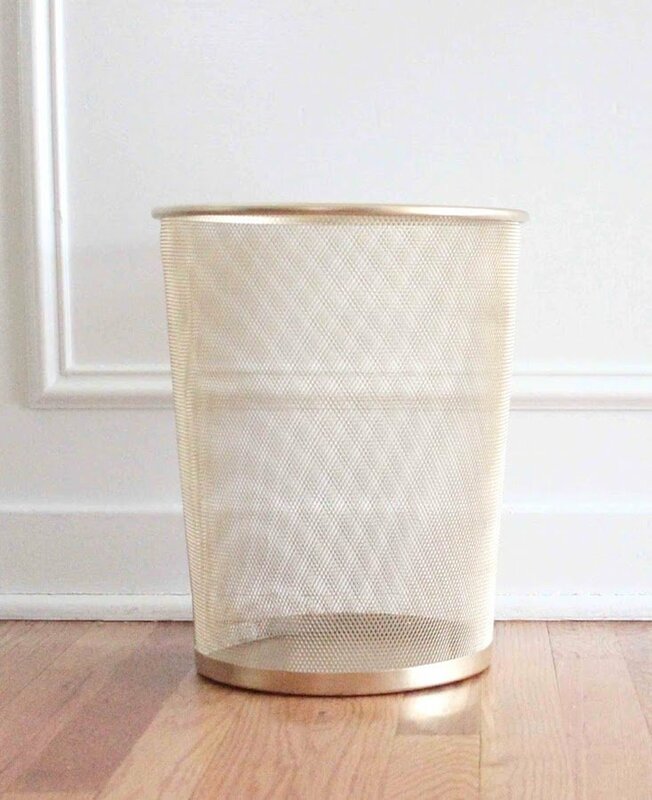 A trash can is kind of a basket, so you can fix it up with spray paint, too! 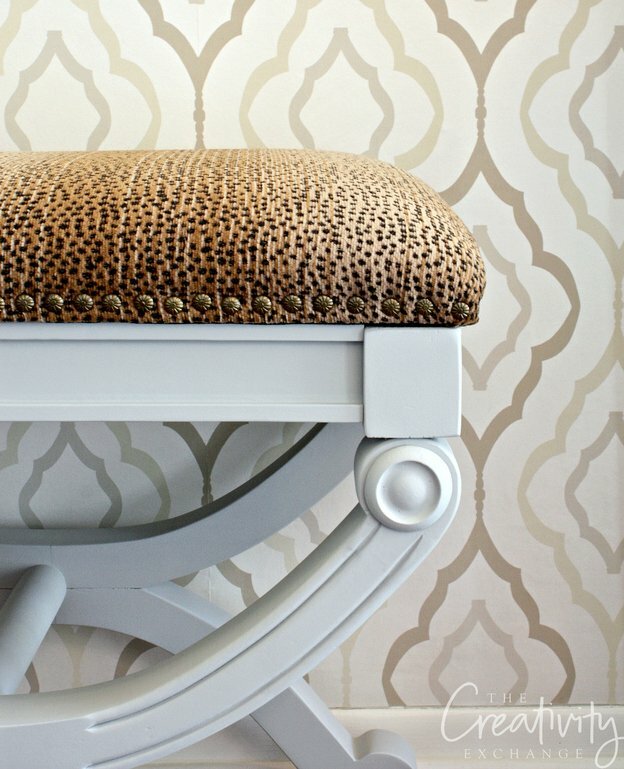 Love the look of mercury glass? 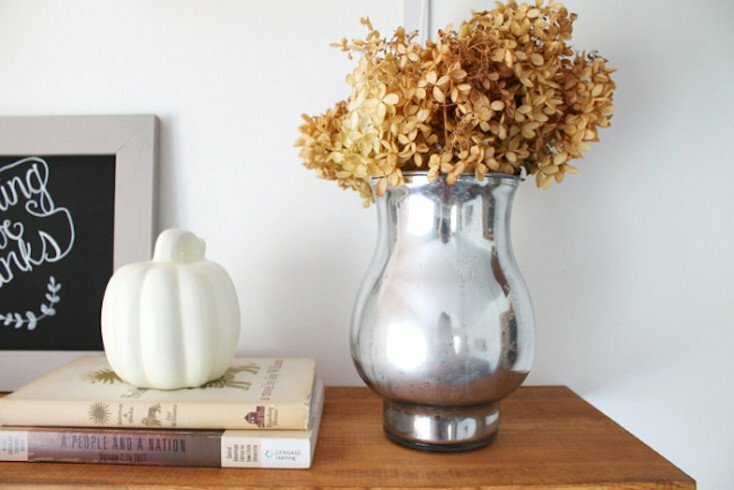 Have extra vases loitering around your closets and cabinets? 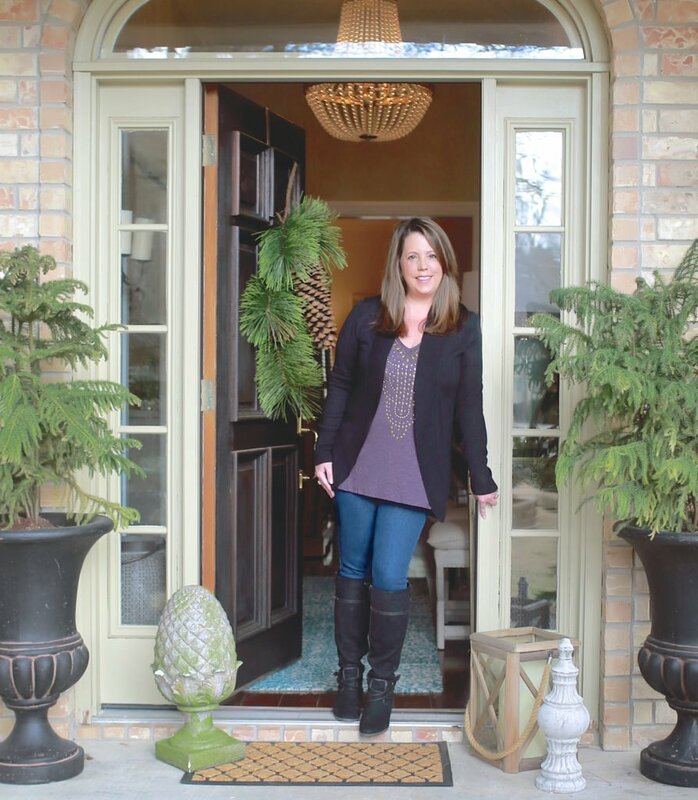 With Amanda’s instructions, you can use Rust-Oleum’s Mirror Effect spray paint to mimic the look of mercury glass. Here’s another great project to make over a plain glass vase. 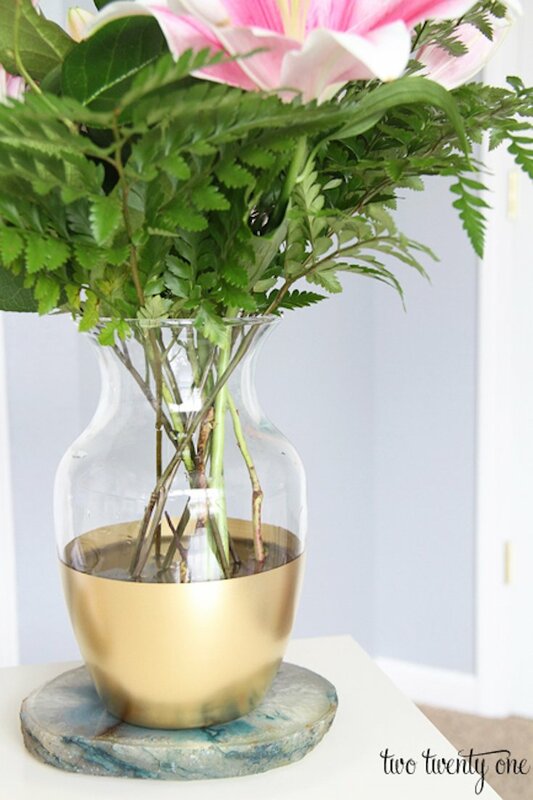 Simply tape off a portion of the vase and cover the rest with metallic spray paint for an instant upgrade. 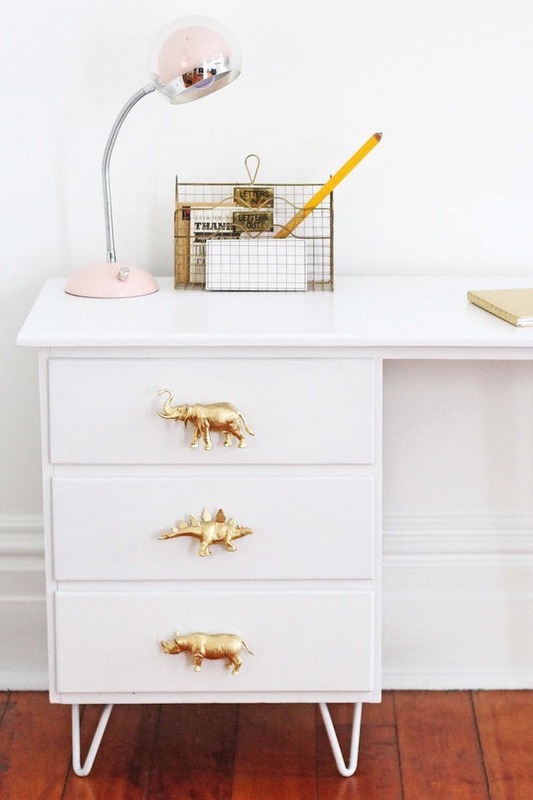 This one is so fun: take plastic toys, attach bolts to the back, spray paint the toys, and use them as drawer pulls in your child’s room—or your own! Cyndy spray painted animals in gold and added magnets for her daughter’s magnetic board. 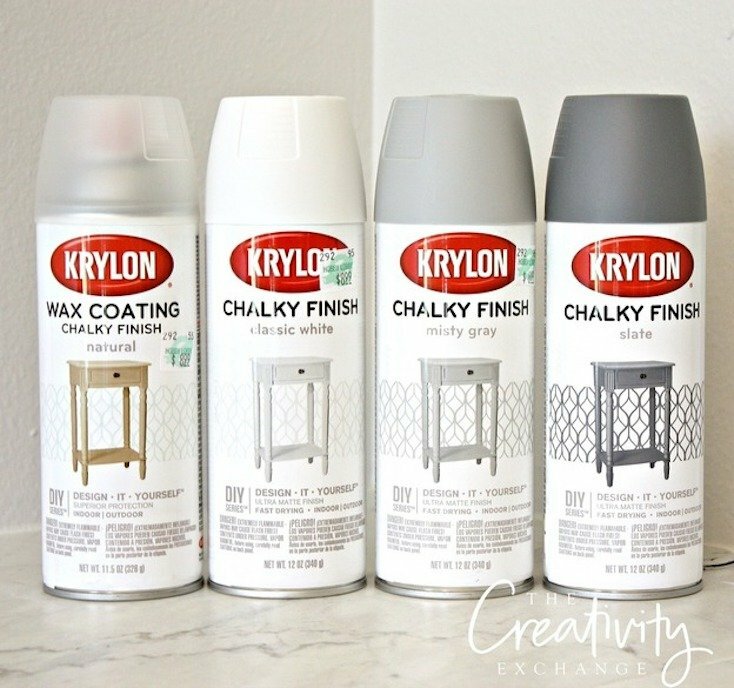 Want to make easy chalkboard labels in seconds, try Cyndy’s tutorial for spraying painters tape with flat black paint for instant labels! 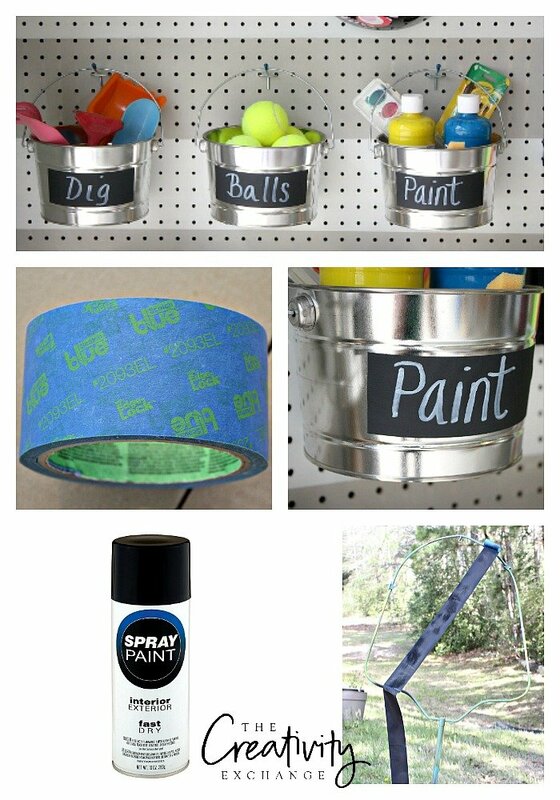 Spray paint can transform so many items in so many wonderful ways. 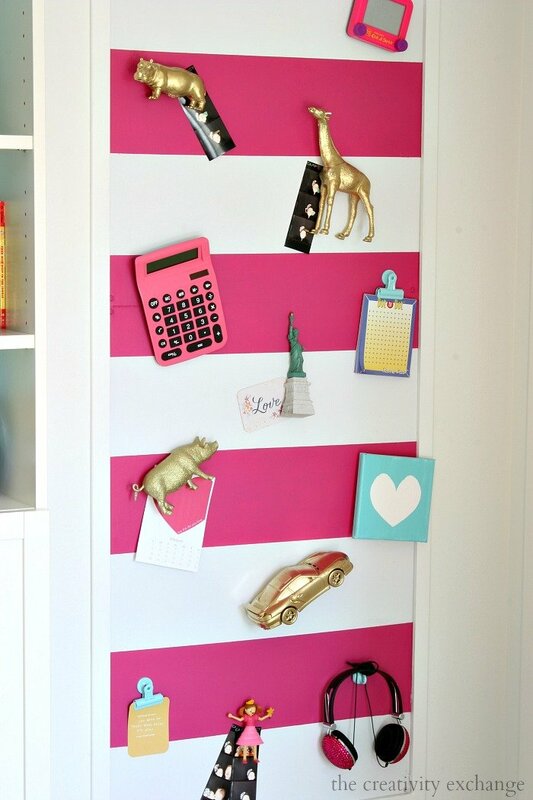 These creative spray paint projects are just the start of what you can do! 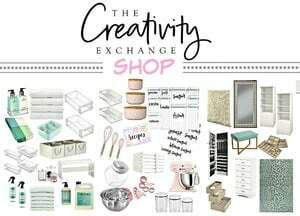 If you’re interested in some of the newer paint products that have just come out on the market, be sure and check out Cyndy’s post here. We have 4 Cracker Barrel rockers that we want to paint to match our front door, B-M Wythe Blue. Should we purchase a paint sprayer? (I don’t have the patience to paint them with a brush) or should we just send them out to be done professionally? I appreciate any suggestions. Thank you. Read your reply to hubby, may tip the scales to have them done professionally! Again, thanks!